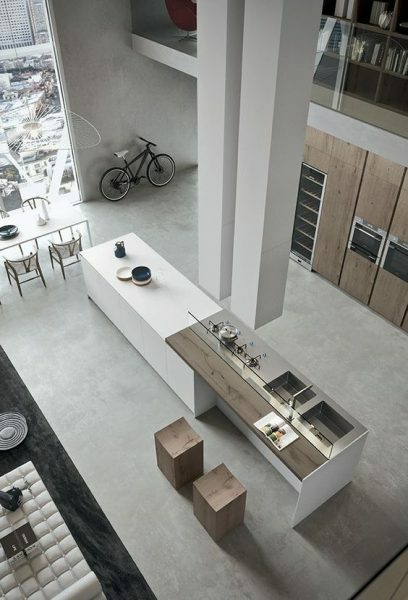 This time I would like to talk about the best in modern kitchen decoration for this 2019 to know the endless possibilities for this space, you will see ideas for small, spacious kitchens, the parts of a kitchen to adapt ideal options for each space, as well as the different styles that currently exist to decorate kitchens, colors that you can use for it, as well as a gallery with more than 30 photos and ideas to inspire you. I hope you like the proposals very much! 3 How to decorate a small kitchen? 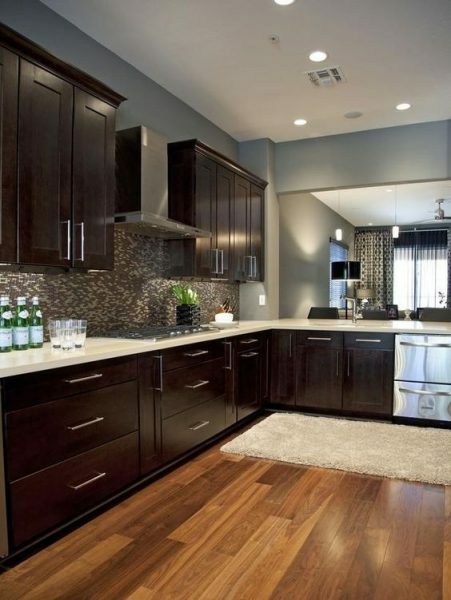 4 How to decorate a large kitchen? 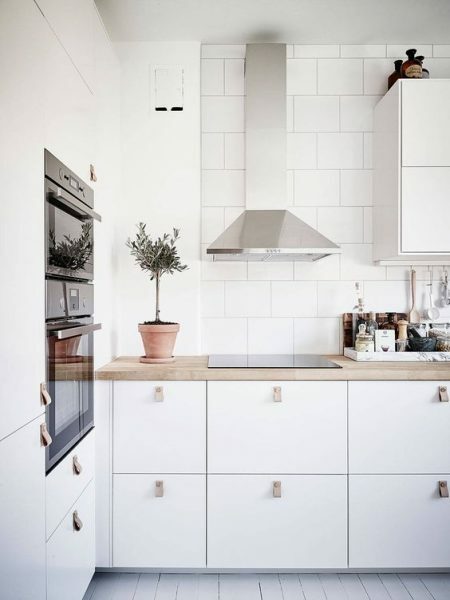 5 How to decorate the surface of a kitchen? 7 How to decorate the breakfast bar of the kitchen? 8 What type of floor can I add to the kitchen decoration? 12 How to light the kitchen? 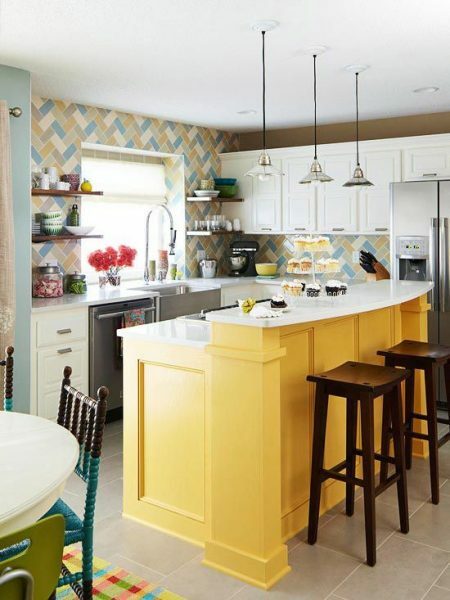 13 What styles of decoration can you consider to decorate your kitchen? The decoration of a kitchen is as important as decorating any other space in our house, it is even one of the most important since for many people it is the heart of the house, where we spend time with our family and preparing delicious dishes. It is a space that represents and reflects much of the family that inhabits it if for you it is also a significant space and you are always looking for the best to decorate your house, you will know that decorating it can become a whole bundle as there are many aspects of this place that they should be careful when decorating it, to create a harmony between what the place is, what works and how we want it to look. Before starting to decorate your kitchen you should segment it into small kitchen or large kitchen, as they can vary greatly the styles of decoration used in one and the other, so to make it easier for you, I will leave you a brief explanation of each category so you know what your kitchen belongs to. From there we will leave to the rest of the points to take into account to decorate this space. It is very important to know the actual size of our kitchen, its dimensions in order to successfully distribute the furniture we use to decorate it, since we want to make the most of the space while taking care of the flow that must be in a kitchen so that the person who is in it, cooks, drinks water, takes things from the refrigerator, etc. freely without hitting things or with another person. The best way to take advantage of a small space and decorate a small kitchen is having the basics so that your kitchen works properly, you must take care of the storage of the kitchen, this is key so that you keep everything that you can and there is more space in the surfaces, you can mount a small bar to give it a modern touch and resort to other decorating techniques that do not use too much space like decorating the walls, putting a dashboard that there are beautiful designs for kitchens, you can also put wallpaper, shelves in which You can organize other kinds of things and also put some decoration. Do not fill your kitchen with furniture that you will not use or extra items, just have what is necessary and the rest store it but that is within your reach quickly. These are some of the keys that I can share for the moment. How to decorate a large kitchen? To begin, people who have a large kitchen in their home can consider themselves lucky, since today most homes have very small kitchens, you can consider that your kitchen is large if it has more than five square meters and you can cross over a lot of possibilities when decorating it because to say it somehow you do not have so many limits of space or dimension to add what you want. You can turn your kitchen into an open space kitchen-dining room that is one of the trends of the moment, it is about finding a balance not only to decorate for decoration, with a large kitchen come more advantages, appliances of the size you need, you do not have to Take care that if you are going to fit a larger microwave, a larger refrigerator or stove than normal, etc. Without doubt there are more benefits than cons. A very significant counter may be the receipt of light, but I think it’s worth it for the space you have. What do you think? How to decorate the surface of a kitchen? In this category come the countertops or spaces of “work” so to speak of our kitchen, usually are the bars that are along it where we chop and prepare food. 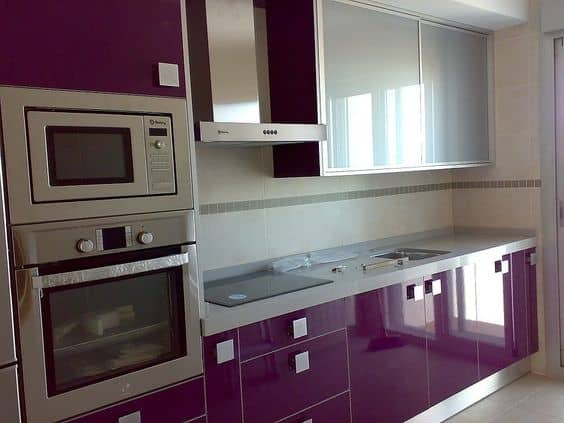 There are decoration options for this area in specific so that your base of support goes ad hoc with the decoration of the rest of your kitchen, you can choose different materials of surfaces that are resistant to blows, to a lot of weight, perhaps to cuts and heat, because it can be occupied. You can choose wood or laminate floors, also resin, concrete or cement, natural stone, tempered glass and tiles. These are key to make the most of the space in our kitchen and at the same time organize all the utensils of it, from pans, crockery, knives, spoons and more. 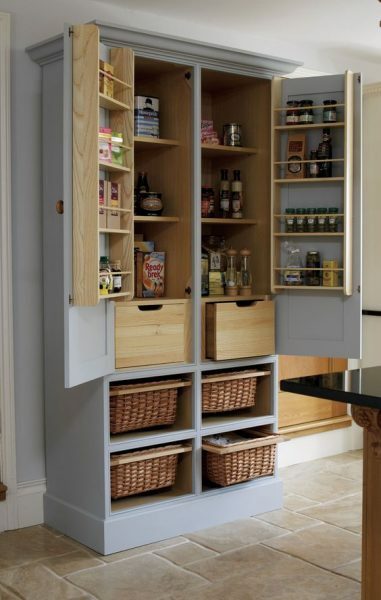 The more space to store things you have better, this will make your way through the kitchen much easier. It will help you to be more demanding with the order. 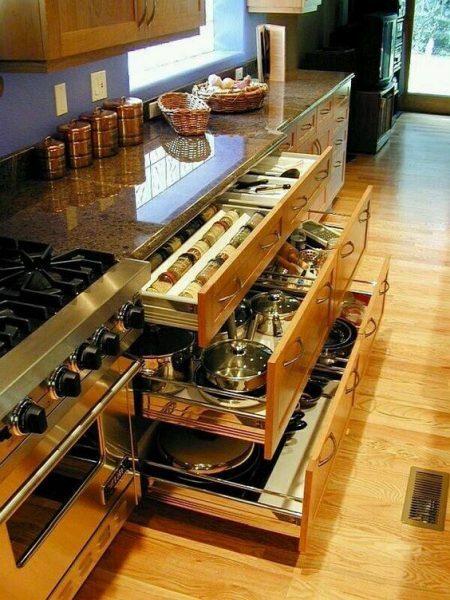 This must be paramount in your kitchen, having better access to everything you need in it. How to decorate the breakfast bar of the kitchen? 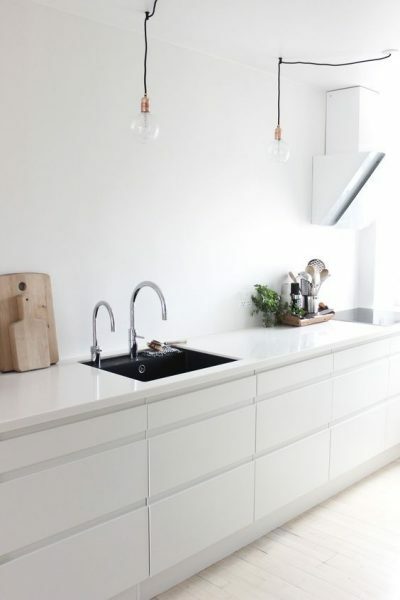 This is not an essential part of the kitchen, but it can be a good option, first of all you should consider if it is suitable for your kitchen space and that you will use it, if it will be more practical than having a dining room you can add it, that will provide you with many things, how to make the most of the space and leave more free space to walk in the kitchen. You can come across different styles of breakfast bars, different materials and sizes, depending on which one works best for you. 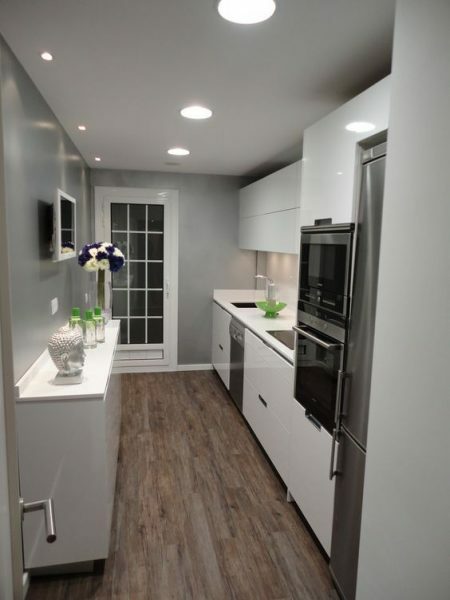 What type of floor can I add to the kitchen decoration? The floor seems not to be but it is key in the final result of a kitchen, there are different styles of floors to which you can resort to decorate your kitchen but first you must make sure that this is within your budget the floor you want, the design, if It will be the same as the rest of your house or it will be different only for the kitchen, you can choose from different materials among which stand the laminate, ceramic, wood, porcelain to, among others. Our recommendation is that you go to different stores where they can provide the best alternatives depending on the style of your home, there they can give you better advice in case you do not have even the slightest idea of the floor design you want. The ceramic floors are the latest trend in kitchen decoration, you can even combine this design with another floor smoother but of course it looks very good visually. What do you think of the option above? The wooden floors are my favorites, I think they give a lot of elegance to the spaces and are left with practically any style of decoration. 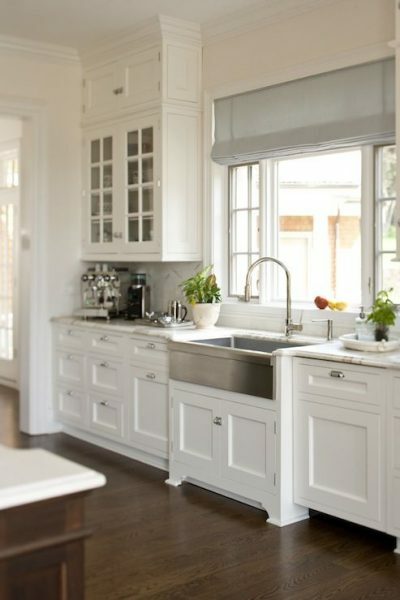 For many is one of the details that goes unnoticed, but it greatly influences the final design of our kitchen, so it is important to choose the right designs of windows, that go perfectly with the size of our kitchen and the style and accessories we have. These can improve the flow of light that enters our kitchen and will enhance the decoration of the space in a better way. 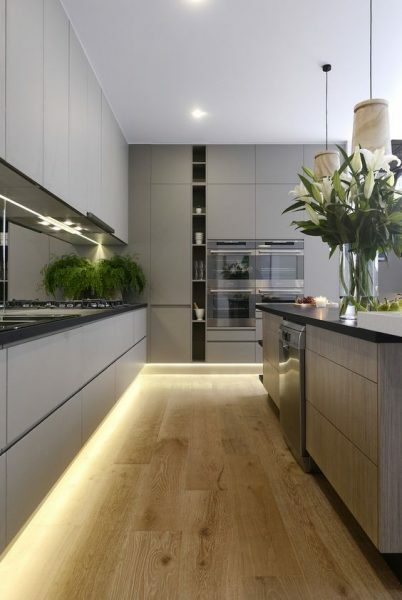 Another key detail in the decoration of these spaces is the lighting since with good lighting you can highlight more details of the decoration of your kitchen, it will even look wider. 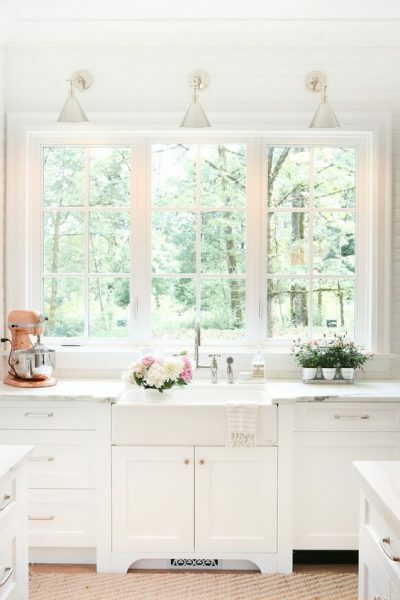 The windows right in front of the sink is one of the most imitated trends currently, it is a practical escape and also visually it looks beautiful. These are key in the order of your kitchen, in addition to being responsible for organizing your entire pantry, do not leave it for the latter because since you have decorated everything you may not find enough space for the cupboard, consider the dimensions of the rest of the things you use for your kitchen so that the pantry is not affected, use it specifically for the pantry, do not put other things in them so that your food is in the best state, talking about designs there are many and there are also different ways you can distribute them, then we’ll talk about that. 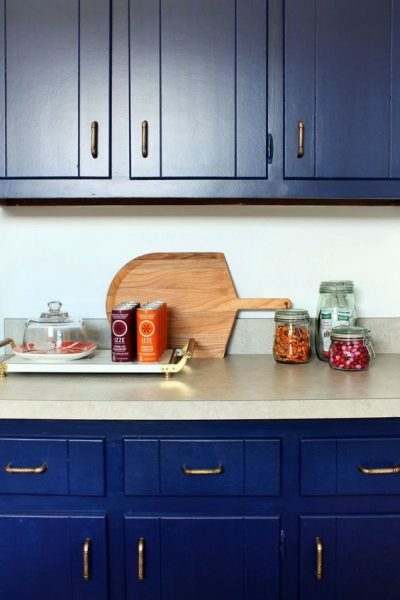 The cupboards are a super functional alternative, the best thing of all is that you can customize any style of cupboard that catches your attention. 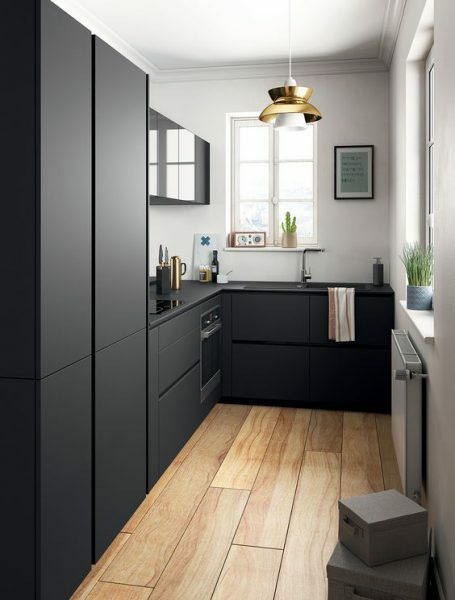 You can come up with a lot of cupboard designs that can be built into your kitchen, from the simplest to the most elaborate, this is where your economic or space possibilities will come in. Take note of our ideas. I will mention what are the key appliances for your kitchen to work as it should, it is not necessary to have more things with which you have the basics. 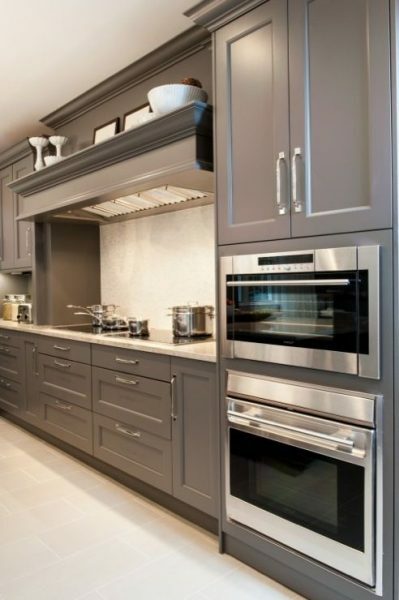 Cooker hood, refrigerator, ovens, microwave, blenders. To start this is the basics little by little you can adapt your kitchen with all the essentials and more. How to light the kitchen? There are some details that you should consider when you are looking to give your kitchen the best possible lighting, including highlighting optimizing natural light, there is nothing better than a good flow of natural light, so many opt for windows or more than one window in the kitchen from different directions to make it look brighter. 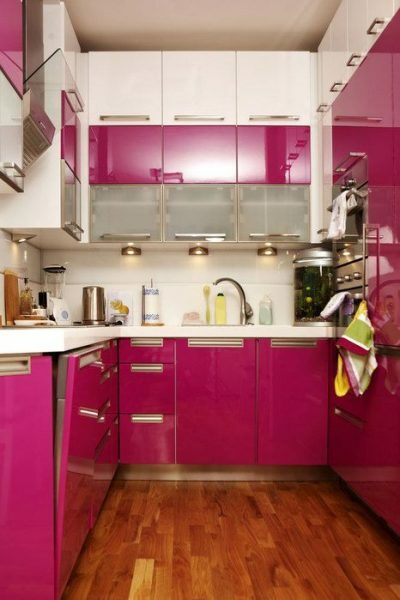 Use clear tones in the paint of your kitchen, so it will be more illuminated. The distribution of furniture to circulate light better and not obstruct any light passage to the kitchen. 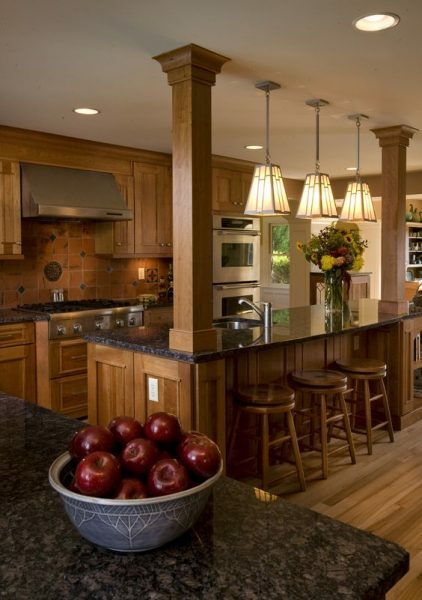 The size of your kitchen, you will not need the same lamps for a small kitchen than for a large one. 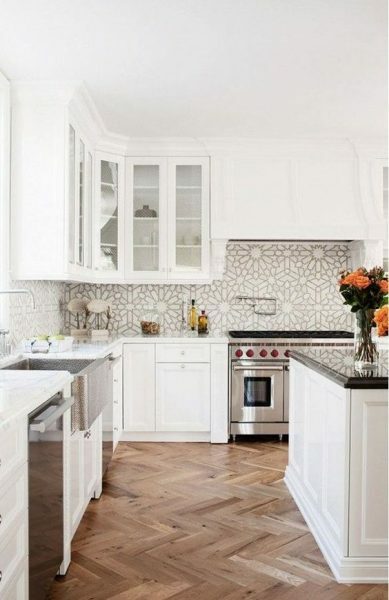 What styles of decoration can you consider to decorate your kitchen? The kitchens decorated with a classic style can be noticed from the others because they add simple details, with the basic decoration, moldings, windows, everything we know of normal decoration, does not seek to be too simple, nor too modern is the neutral style So to say, many add more special details to give a different touch to the kitchen to enhance the style. Do you like the idea? This is one of the styles that we will see the most to any home that we go because it is a style that is very easy to get and adapts perfectly to any style of housing, but the traditional or classic ones that already have many years. They have many details that make them look elegant, like the design of their drawers, the design of the floor that is usually made of wood, they usually have bells on top of the stove and all this kind of details. A minimalist kitchen is distinguished from the rest by a few elements or basic elements, order, neutral colors, simple lines in its accessories, furniture, you can get a discreet decoration since you are looking with this style to give the basics to a kitchen, do not use very ostentatious to decorate, or combine elements of different sizes or colors to decorate this space, a range of neutral colors must predominate throughout the space. At first sight it is one of the most basic and simple styles of all, but they have a lot behind, from the choice of furniture, the design of the integral kitchen, the colors that are used to decorate it and especially the color of the accessories. The color most used in this style of decoration is the color white, both in accessories, furniture or in the color of the walls. This style is ideal to give a different touch to our kitchen but above all original. It is a style completely away from the traditional and the classic, the brick walls, metal details on tables, chairs or sofas and the urban touch are the protagonists of this style of decoration. As you can see in our images the black color combined with metallic accessories is what dominates in this style of decoration. 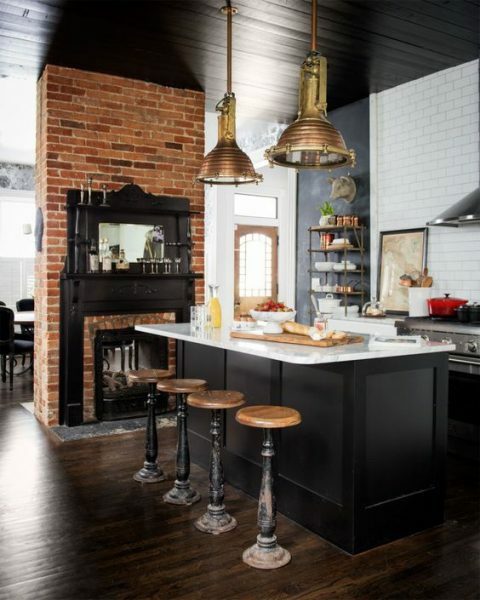 An open kitchen is the best way to give this style adds details in white, black, gray or as best known raw. 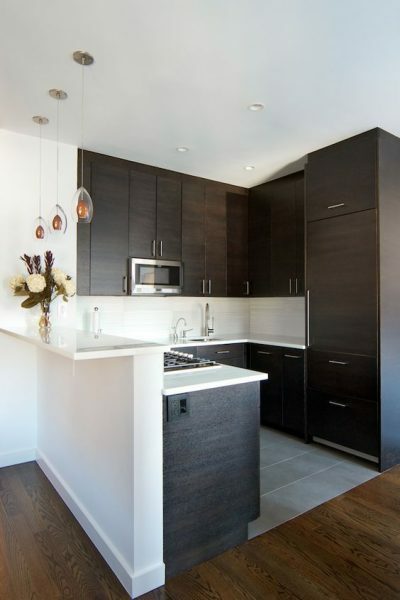 Simple and clean finishes are other alternatives that you can add to make it perfect. 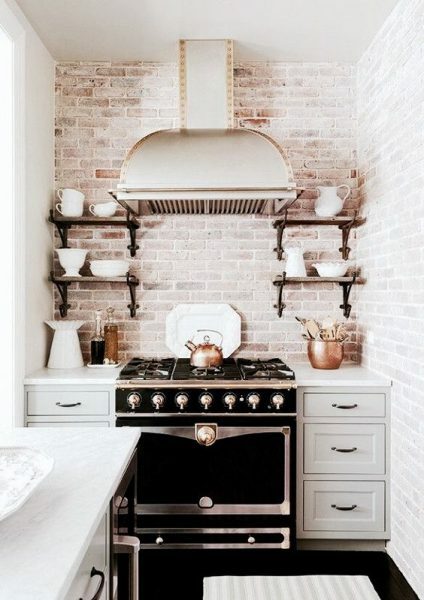 Brick is another of the key elements in this style of decoration, in fact it makes even more striking a kitchen with walls or brick cladding and people immediately associate it with the style of industrial decoration. You can add as many elements as you consider necessary to complement the decoration of this style. 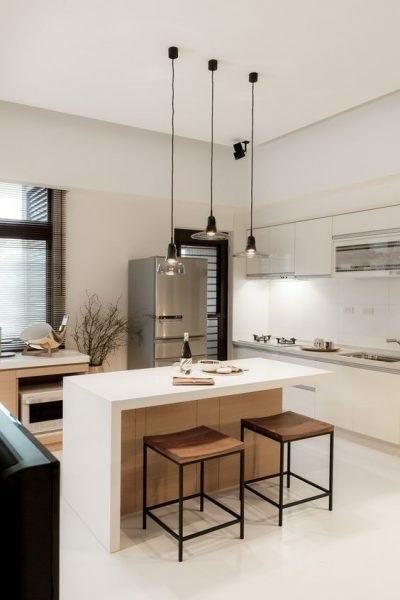 If you want to achieve a modern style in the decoration of your kitchen you must choose the elements and colors that do not go out of fashion so fast that on the contrary, they are versatile and prevail for a long time, the colors you can use are white, black and give them small touches of color. Add original details such as hanging lamps, wallpaper, islands, kitchen niches and everything in a classic kitchen does not fit. The final result should look elegant, so take care of the harmony of the elements you use for the space. The decorative accessories will also make a difference, as for example the lamps of the image above become protagonists of the decoration and are an element of the most modern. Search for more accessories like this. Remember that to maintain the essence of a style of decoration is very important order and distribution of furniture and how we take advantage of the spaces of this. 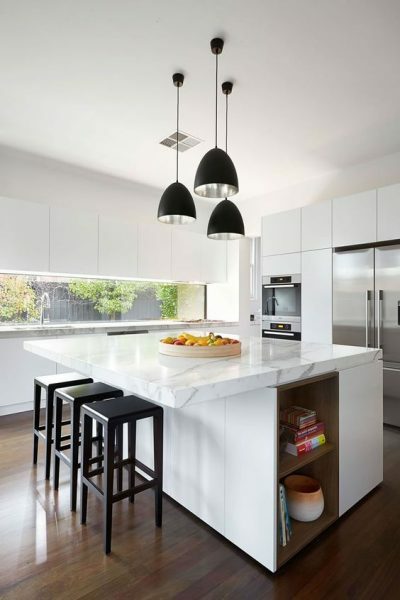 Maintaining clean spaces are key in modern kitchen decoration. Do you like the proposal? Or retro is not a very difficult style to get much less expensive, just recycle some furniture you have in your kitchen and give them a different touch, worn or old look if possible ask an aunt or grandmother to sell you gifts that maybe look older, these will give a unique touch to your kitchen. You can achieve this style with small details, worn shelves, old-style tableware, etc. Get signs and chairs, everything that seems more that does not look old can serve to give your kitchen the vintage touch. This style is not synonymous with old as many people relate it to get this style is enough to add more elements that have to do with nature or nature as wood, which is the main component of this style. You can combine the wood with another material to give it a more modern look and not so neglected, your kitchen will look beautiful. This is one of the newest styles of all, was born just a couple of years ago, this style is complemented by key accessories such as chairs, walls, lamps, etc. 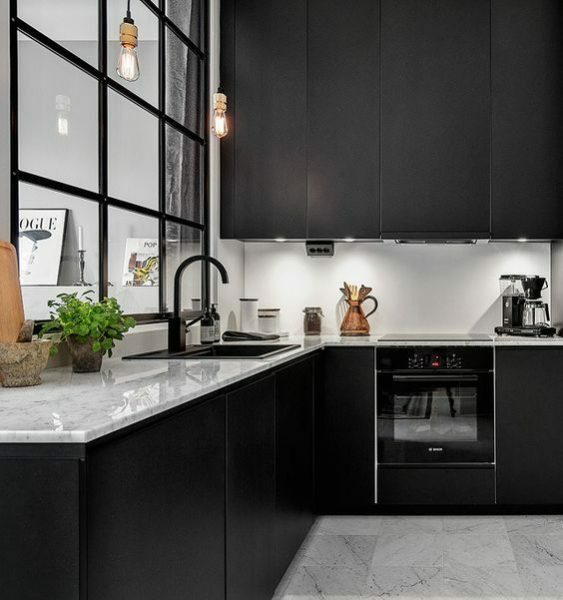 The color white and black are the protagonists in almost all spaces and it looks very interesting if you add a touch of contrasting color in them. This style is very similar to the minimalist style, but is more attached to rustic decoration accessories as accessories in any space. These are some of the colors that you can use as complements or as protagonists in the Nordic style, unlike the minimalist where white predominates. The details are rustic but combined with a modern finish Do you like it? 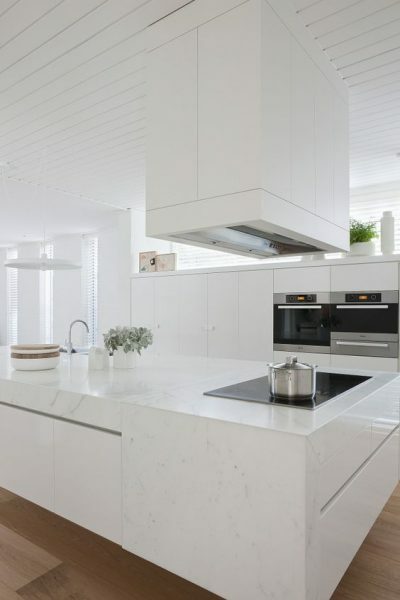 Choosing the white color to decorate our kitchen is the easiest option and also the most enduring in terms of trends and fashion, because if you choose any other color these may go out of fashion, instead the white color you know will last for years and more years. 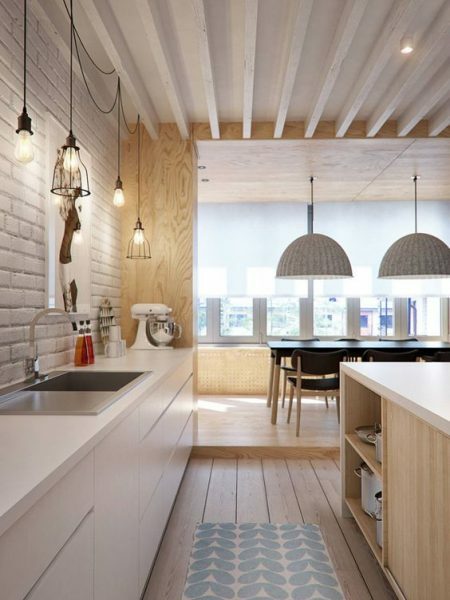 You can get elegant and clean kitchen designs if you choose the color white, if you would like to give a different touch you can add wooden or any other color accessories. The white color will bring more light to the space and the rest of the details you use to decorate will be better appreciated. 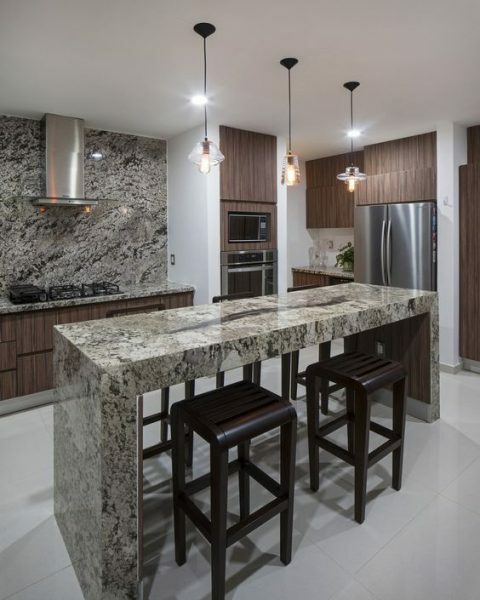 One of the most popular colors in our society is the chocolate color that is associated with this delicious food for its tonality, but they are intense brown color kitchens that are an ideal color for traditional kitchens or for classic kitchens. 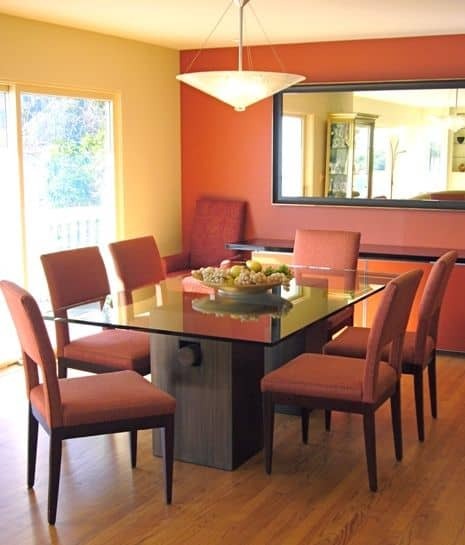 It is a discreet color and is also very combinable, you will always find furniture and accessories for your kitchen in this color for being one of the most sought after. 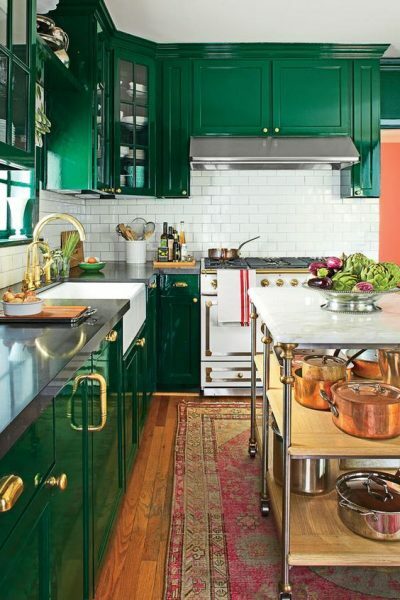 You can add this color to the kitchen space that you like, anywhere you will see well. If you like neutral tones the gray color would be your best option, in addition to neutral it is a very modern color, it is related to the minimalist, modern and contemporary styles, sometimes it is added to spaces with industrial style. It is also compared to the white color because it brings a lot of light to the spaces. So if you want an alternative to add light to space, gray is the ideal color. According to the psychology of color the orange color is associated with opening up the appetite, besides this it is a bright color, which gives it a lot of luminosity and activates the flow of energy in space thanks to the fact that it is very energetic. 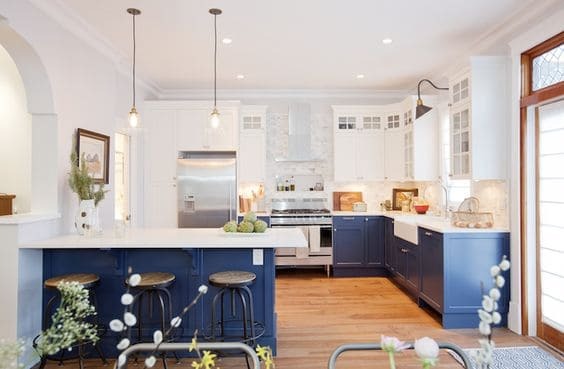 It has the advantage that this color can be added practically to any style of decoration in your kitchen and combines perfectly with other contrasting colors from the darkest to the lightest such as white. This color is the best option for your kitchen if you want to add tranquility and calm to a certain extent you become a relaxing space, you can combine this color with neutral colors to give a touch of cleanliness and purity to your kitchen, also this color is very much associated with houses that live near the sea or in warm environments, it would look good in any kitchen and home style. With red you can create really interesting spaces with a bold touch, if you are afraid to add too much red color you can do it with the details, like your crockery, some wall, sprinklers, furniture, decoration like paintings, lamps, etc. 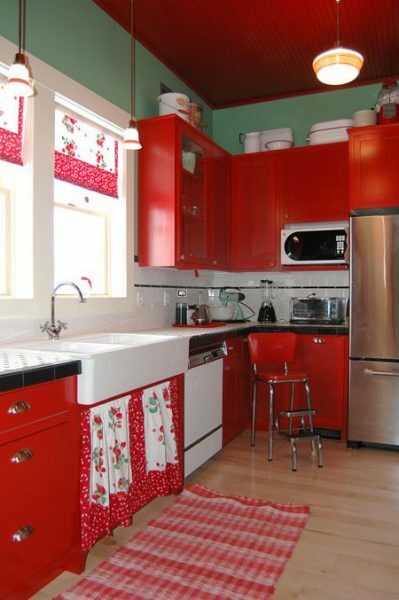 On the other hand there are other people who are more animated and add the red color to almost the whole kitchen, here it depends on tastes. This is one of the colors most related to nature and was also chosen by pantone as the color of the year, so if you want to give your kitchen modern touches and also that of a feeling of freshness, it happens the same as with red, in excess this color can become oppressive, the best thing is that you create a harmony between this color and a clear one perhaps white, that you can add furniture, kitchen items or any complement in green, What do you think about the idea? There is nothing better to give a space a dynamic and cheerful touch than the yellow color, with this you can transform any space instantly, it is an energetic color that makes us instantly good, it is also considered a color that inspires modernity so If your kitchen is modern or contemporary style do not hesitate to add it to the decoration of your kitchen, you can also combine it with the white color for minimalist interiors and it will look beautiful. Many do not even consider it in their spaces since society has been in charge of relating this color to death or something bad, but in decoration nothing has to do with this since it is a color that brings a lot of elegance and is related to the Modernity and the contemporary combined with another color can achieve an incredible balance of style, so consider it if you have never thought about it. This color added to the decoration of your home reflects a lot of personality and at the same time can transform any place into a more elegant space. It can be a little risky to add it to the decoration of your house, since it is very difficult to combine with other colors, but for example it is a great opportunity to combine them with neutral colors such as gray, white even with black. You can get different designs of integral kitchens painted in this color and they will look amazing. It has always been considered a color related to femininity, so if you want to give your house a more feminine and perhaps glamorous touch, pink is the best option.